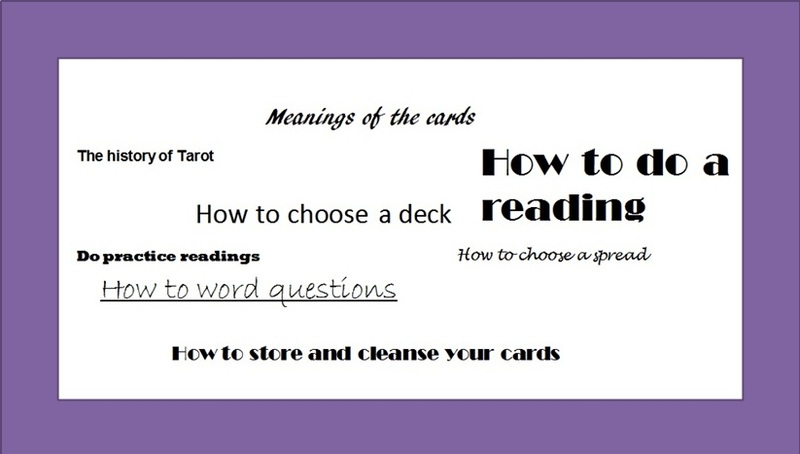 messages received by the placement of tarot cards in response to questions. Tarot cards are a deck of cards that consists of 78 cards with meanings associated with each card. The deck is divided into three categories of cards; the Major Arcana, Minor Arcana, and Court Cards. Like a traditional deck of cards, there are also four suits. Depending on the deck, the suits are presented by different symbols; such as wands, swords, pentacles and cups. Then register for class today! Class will be online, and the Mystic Faerie Deck, Crystal Tarot Deck and Guilded Tarot Deck will be used as examples. Each section for class will be emailed to you Sunday evenings, and there will be a weekly day and time scheduled for live chat. Live chat or Skype will be used for practicing readings.